We often tend to dwell on our past and cherish good memories as they awake a sense of nostalgia. That is why some designers turn to retro and vintage designs in developing pre-made templates. Such designs bear the feel of ever-lasting values and are attractive and inspirational for many generations. 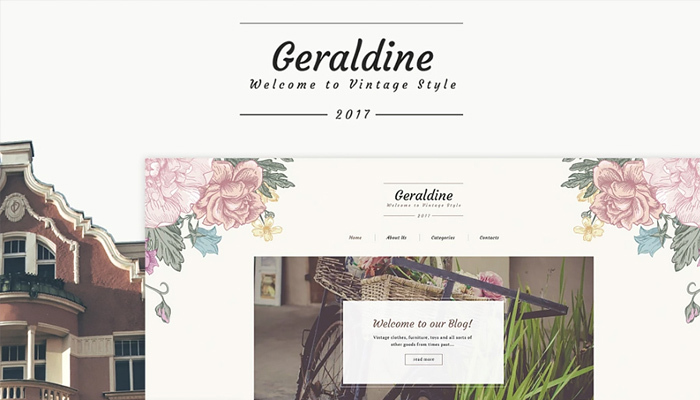 If you want to make your business or a blog stand out in a crowd, Vintage & Retro WordPress Themes might be a great option for you. 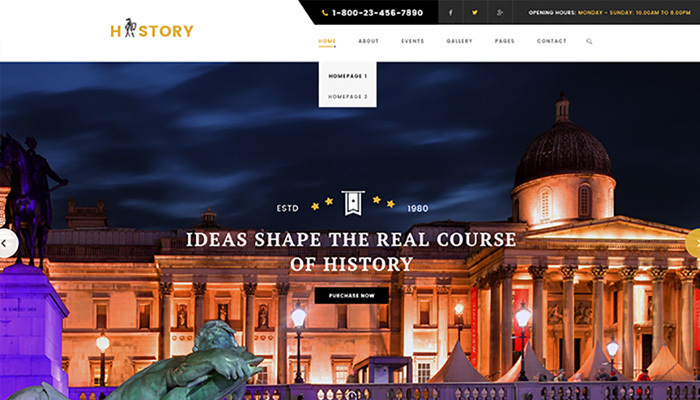 Incorporating timeless designs gives your website a genuinely unique look. Why Should I Go For a WordPress Theme? Nowadays more and more businesses choose WordPress as it is a great choice for people who are not proficient in web-design. This content managing system suits novices who are not technically advanced. You have to be ready to spend some time on mastering its admin board and that’s it! This open source provides you with multiple prebuilt components, powerful plugins, and possibility to update your website on a regular basis. WordPress seems to be a solution for multiple types of businesses as it provides website owners with magnificent tools for running a site. It is really easy taking into the account intuitive interface and tools working in a drag-and-drop manner. WP themes are crafted with a style and combine a top-notch design and plenty of amazing features to widen functionality of your website. The themes are flexible and you can customize them with WordPress Live Customizer and other tools, that enable you to change a color scheme, types, logos, headers and footers. Furthermore, thanks to a responsive design your website will look adequately on any mobile device. WordPress themes can be accessed via all modern browsers. Moreover, you can get a website with extremely rich functionality for low price. Today we have a splendid opportunity to feast our eyes upon Vintage & Retro WordPress themes with a niche fitted functionality. Make sure they are really powerful due to a clean professional code and a bunch of features for customization. 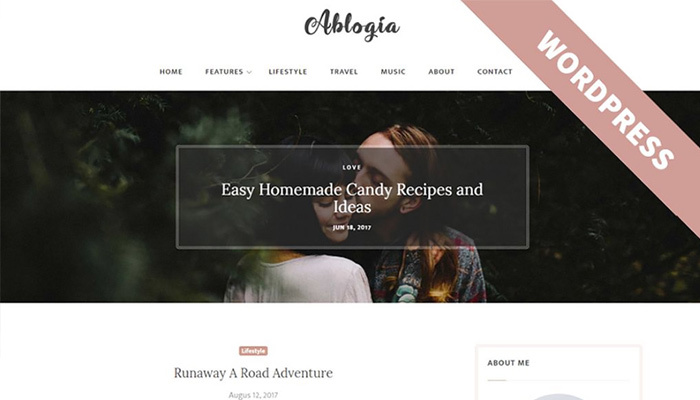 This charming cozy WordPress theme suits best to the needs of your Retro blog. The rich typography and readable fonts make the most favorable impression on your readers. The retina ready images and text blogs will be rendered perfectly on any screen thanks to the responsive design and the site can be viewed in most browsers. The theme is flexible enough to be changed to your taste with WordPress Live Customizer. A bunch of custom widgets provides your visitors with social options, a newsletter subscription, and concise portions of information in a post slider. Moreover, the theme is SEO-optimized, which eventuates in higher position in search results. This vivid vintage design is suitable for a blogger who wants to stand out in a crowd and highlight their individuality. The clean layout, absence of distracting elements, and fine imagery serve blogging purposes in an excellent way. The Grid Gallery displays images in a neatly organized fashion. Mastering and managing the theme is performed through an intuitive Admin panel. 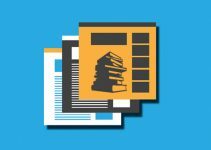 Ajax technique allows changing your content dynamically and you don’t need to reload the page every time, which makes control over the site much easier. The theme goes with multilingual plugin and it can reach any foreign-speaking audience. 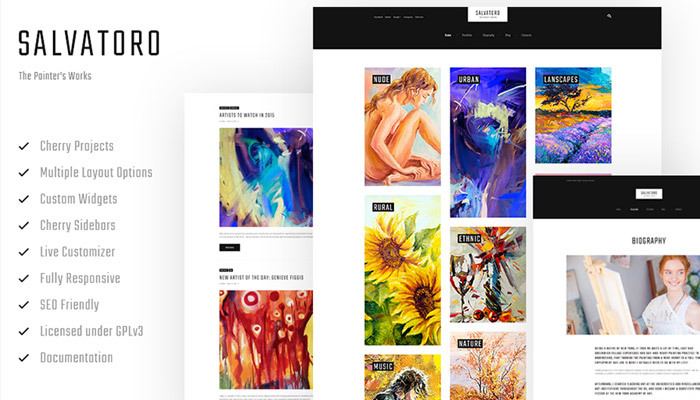 Meet this user-friendly theme, which boasts a winning combination of clean design and high-quality retina images. 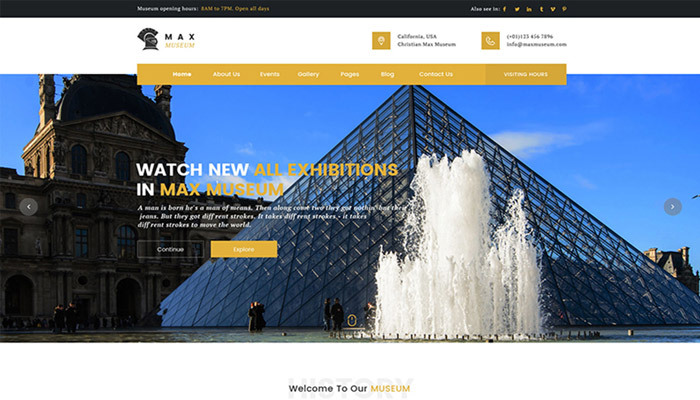 This theme suits perfectly well for displaying exhibits of most interesting museums as it bears the feel of time and history. The revolution slider displays samples and exhibits in the most favorable light making the visitors feel as if they had a real tour. The bootstrap framework lets the content be displayed immaculately on mobile devices. Your site will be search engine friendly and you won’t have to spend much time on its endless SEO-optimization. The Visual Editor provides you with a hassle-free website customization without any programming skills involved. 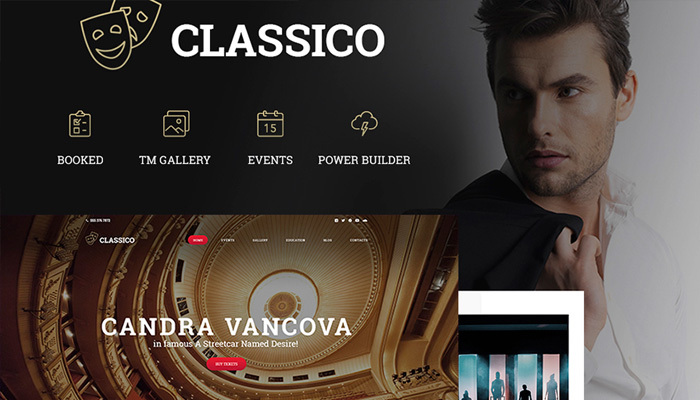 All playgoers will be frequent visitors to the gorgeous site built using this responsive template. The visitors will appreciate the classic style and smooth navigation. TM Gallery comes in different layouts and will advantageously showcase best shots of actors and scenes. The Appointment Booking plugin makes it possible for your visitors to buy tickets online. The newsletter subscription keeps users informed of all the upcoming performances. You can easily change the structure of the theme, enable contact forms, buttons, sliders and other useful elements. 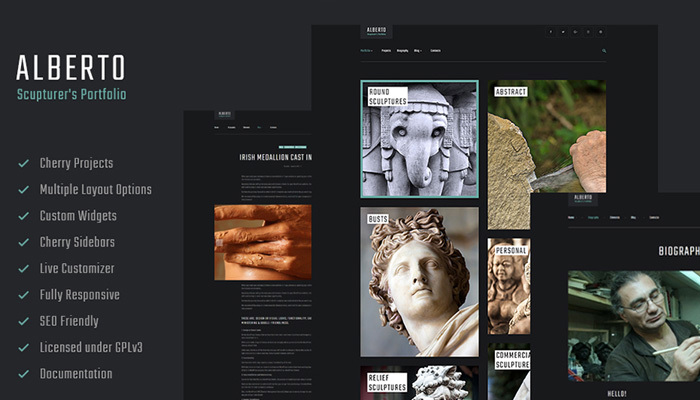 This unique artistic theme with the rich vintage background is the perfect ground for art galleries or an artist’s portfolio, in a word, for visually focused niches. The front page features artistic works in full size allowing visitors enjoy the masterpiece in the smallest detail. The website owner will be able to customize the look of the gallery using a set of Advanced theme detailed. The admin panel lets running the theme in a facilitated intuitive way. The theme comes with blog functionality that is helpful in terms of engaging visitors with articles on art and photography, and thus getting more traffic to the site. Different post formats are allowed including video, image, gallery or link. Pay attention to this exquisite theme with high usability, which efficiently displays works of art, sculpture and any visual project. The dark background doesn’t distract a viewer’s attention from the exhibit as the overall clean style. Cherry Framework allows the owner to use tons of pre-made specified pages for any sort of content. Creating a breath-taking gallery with filters by tags and categories won’t take more than several minutes. It is possible to add various animation, apply layout options and add custom metadata. The theme allows adding a post carousel to briefly introduce the latest news. Moreover, social media integration will help in building stronger online presence. Another highly-productive theme is crafted especially for artists’ and photographers’ portfolio who would appreciate its minimalist style. The winning combination of black header, white background, and black lapidary captions make a perfect context for works of art. The theme is free of distracting elements and very airy. The visitors will enjoy browsing which is engaging and intuitive. The theme is equipped with Cherry Projects plugin that enables you to create numerous projects and display in a large number of options. WordPress Live Customizer disencumbers your customization process and you instantly see the changes you are applying. In case you face any troubles working with the theme, 24/7 support is there to help you! 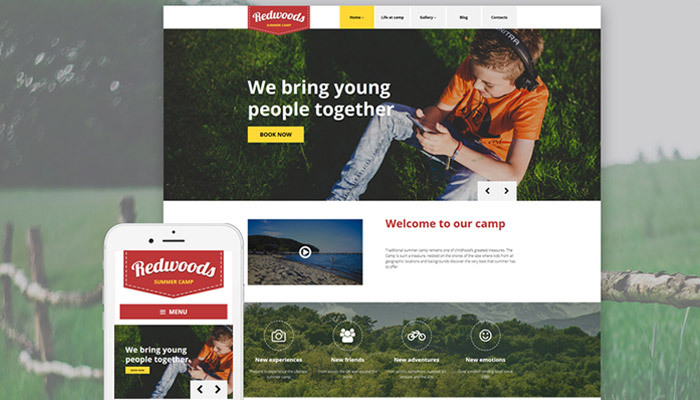 This responsive theme with stylish retro logo creates carefree and relaxed mood, so any camping site can employ it to promote itself on the web. The big header with a slider, spiced with different transitions, tells the world about your philosophy. 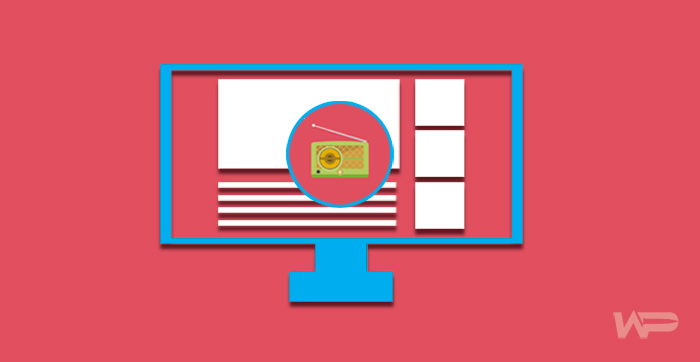 The embedded video on the front page will be engaging for visitors to the site as well as vivid Parallax effect. The website owner can create various menus with a powerful MegaMenu tool. Editing of the theme is performed in a visual mode with the help of advanced MotoPress tools. The site can be translated into different languages and reach an audience abroad. Several pre-made Cherry pages like Team Page and Testimonials will tell visitors a lot about your camp and help win trust to your site. 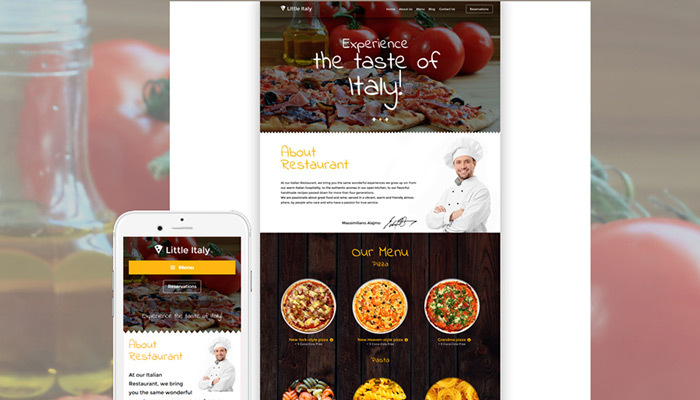 Impress restaurateurs with this appetizing theme with amazing Parallax effect. The theme is responsive and mobile-friendly that is beneficial for any catering business. It has a neat design, beautiful handwritten font, stylish logo and terrific retina-ready imagery. The template is easy to install and it goes with well-written documentation. Cherry Framework 4 gives a possibility to customize the Child version of the theme and upgrade the Parent one, which gives of much freedom. MotoPress drag and drop content editor helps to create a unique website layout effortlessly. The Ecwid extension let the website owner sell their delicacies right from the site. 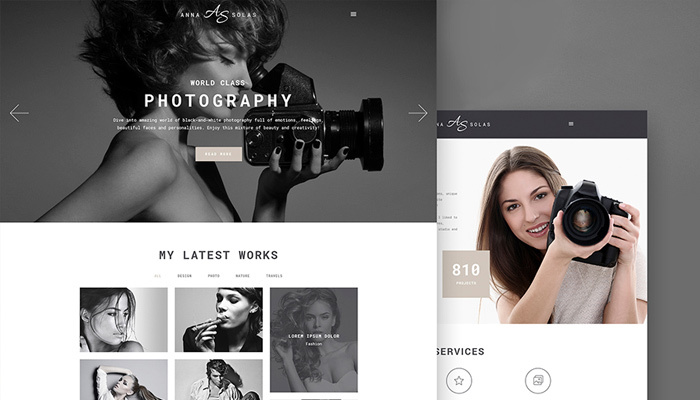 Any photographer would efficiently present their professional skills with this extremely trendy flexible theme. The retro black-and-white solution makes it especially exquisite and eye-catching. It is visually enhanced with Parallax effect, high-quality retina-ready imagery, and responsive design. The brand new page builder Elementor provides the full control of the website, and it requires no coding skills to create gorgeous pages. A bunch of well-designed modules and pages for any occasion will display any content in the most attractive way. The theme is equipped with a booking appointment system which allows the website owner to become more efficient and responsive to their clients. 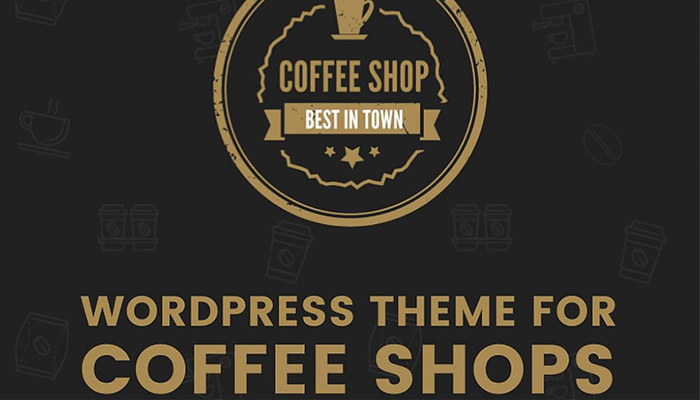 Amaze coffee nerds with this template with amazing features and authentic retro design. Its terrific functionality lets adapting it for any other purposes. The theme stands out due to mobile-first paradigm employing a one-page design. The fast loading speed and simple navigation give your visitors great user experience. The theme goes with video galleries, image slider, several blogs and incredible custom widgets. The layout design and headers are responsive and highly customizable. The built-in social media sharing buttons let you get as much attention to your content as possible. This intuitive theme with a stylish layout corresponds with the latest design trends and will perfectly perform the task allotted for a blog. Its clean minimal style doesn’t distract from texts presented with style. The theme goes with best readability possible due to legible fonts, which can be varied thanks to Google Web Fonts integration. It is supplied with functional Revolution Slider and tons of features to display images and videos in the most modern galleries. You will be able to choose between 6 Home Pages designs and Blog Layouts to make your site one-of-a-kind. The theme boasts a lightning-fast loading speed and is SEO-optimized. 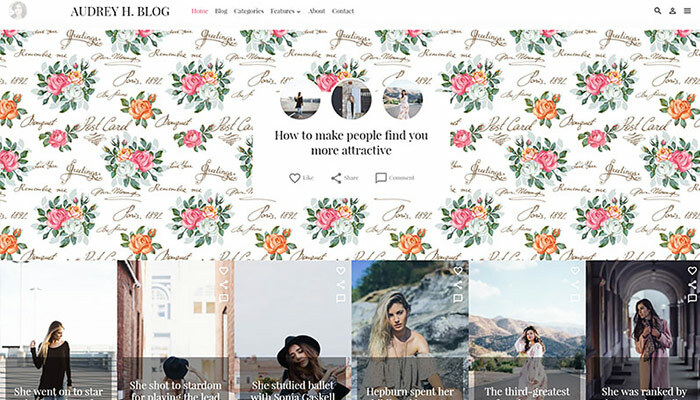 Run your personal blog and tell the world about your philosophy or exciting trips using this handsome modern theme. Its clean design makes the best background for different posts. Created with readability in mind, the theme has an astonishing number of Google fonts in the set. It is translation-ready and using its translation editor, you will reach any audience. The theme includes all necessary pre-made pages for successful running a blog. 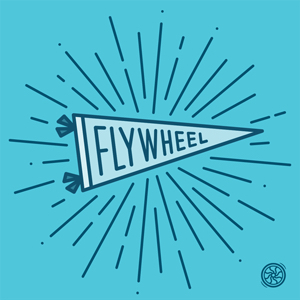 You can apply to friendly long-term support with this website in use. 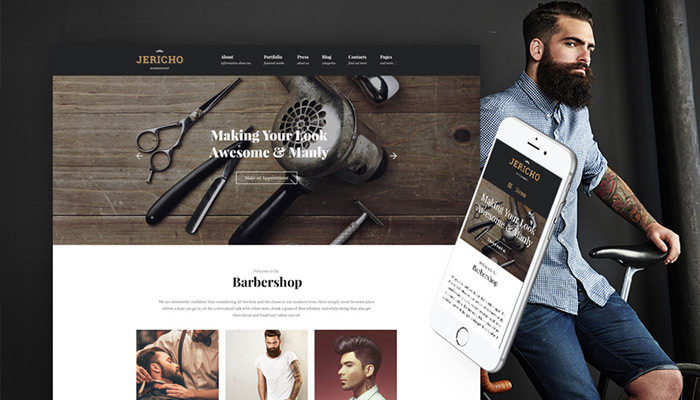 This far-out trendy theme for a barber shop comes with a huge set of creative content modules. 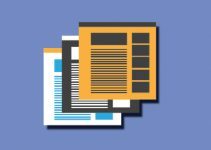 It is not an issue to create unique pages with drag-and-drop Power Page Builder. Experiment with page structures and the result will be extraordinary. WordPress Live Customizer gives you an opportunity to refresh the look of your site on demand. Stunning TM galleries will help you to showcase your works in a variety of layouts. Post Carousel will display the recent content in an eye-catching sliding manner. The powerful social media widget will connect you with fans and followers on most popular networking sites. 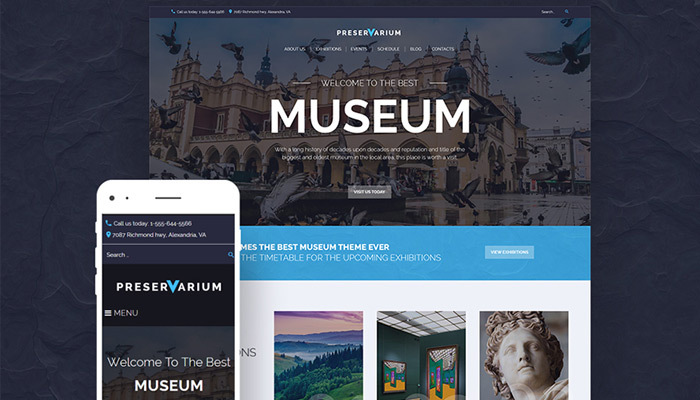 Try out this unique mobile friendly and fully responsive theme for the terrific showcase of art projects. 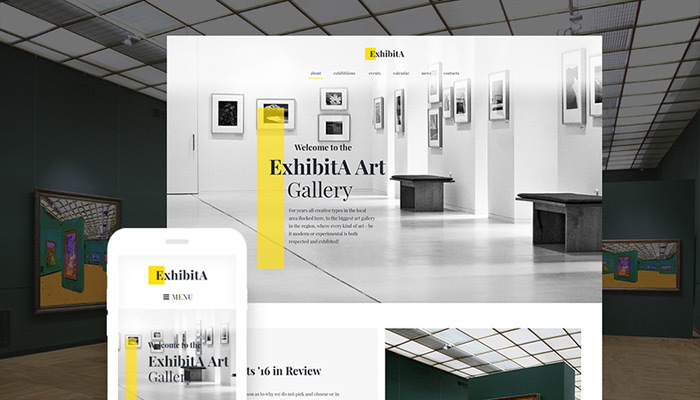 This display is underpinned by appealing Parallax and background video, which serve to the popularity of your gallery. TM page builder tool lets you design on the frontend with instant results. You can easily tweak the style of the site using Live Customizer. Adding various modules like counters, maps, timers, will be as easy as pie. Thanks to Cherry testimonials, you will be able to put clients’ reviews about you and raising reliability of the site. Acquaint your visitors with your best exhibits in detail with this magnificent high-productive template. The Parallax animation makes any presentation even more stunning. With Appointment manager plugin, you can manage the bookings for your museum on a custom time basis. The all-around organizer, timetable plugin, you can create and manage online schedules for single and multiple events. The theme provides you with a huge space for customizing the site up to your taste. It is easy to provide clients with your museum location thanks to the integrated Google maps. 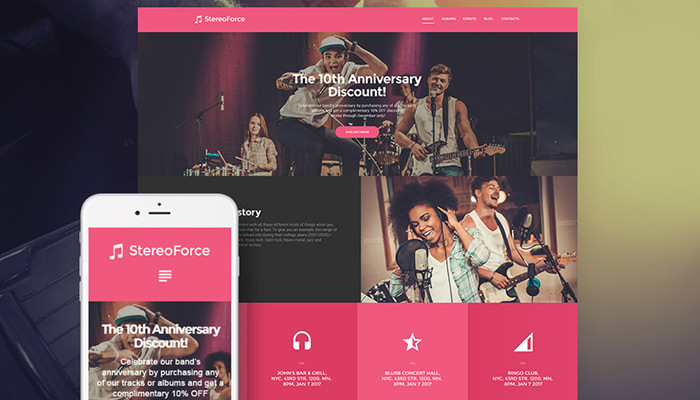 Choose this vivid, flexible and functional WordPress Theme to make headlines in music on the web. A wide range of content modules will help you to spice up all the details about your band. You can give an engaging feel to the site adding pricing tables, animated counters, and image slider. It is a fully editable theme equipped with Power Page Builder and Live Customizer to refresh the look and style of your site up. Cherry Services lets displaying your band and music projects in multiple ways. Background video option is a sound way to draw attention to yourself. All cinephiles will love this retro-style theme with a full spectrum of page types, crafted with care to boost your website popularity. Being responsive, this theme has been optimized for all handheld gadgets. 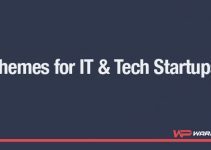 It is well-documented, goes with a simple installation and supports lifetime free updates. The incredibly easy customization doesn’t demand from the owner to have a degree in IT. The theme allows adding various types of content, boasts multiple layouts and plenty of shortcodes. The filterable Portfolio Plugin lets your visitors find any information by tags and create categories that are easy to navigate. 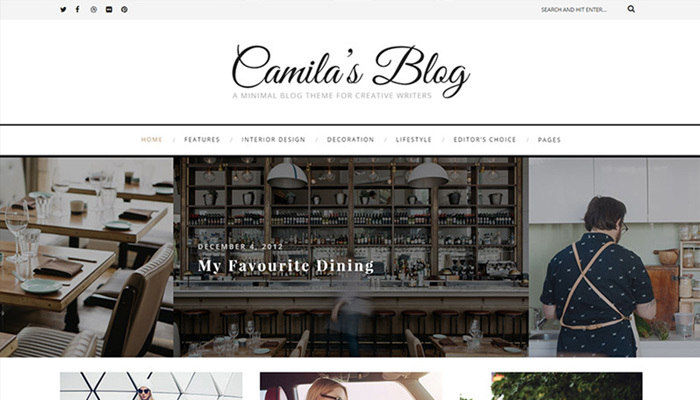 Being more than a blog, this theme will surprise you with a cutting-edge design and solid functionality. It allows video and audio integration, which is indispensable for Art and Culture theme. It goes with detailed pages, like Our Team, Portfolio, Services, Testimonials. Readers all over the world will enjoy your reviews and articles thanks to the multilingual plugin. 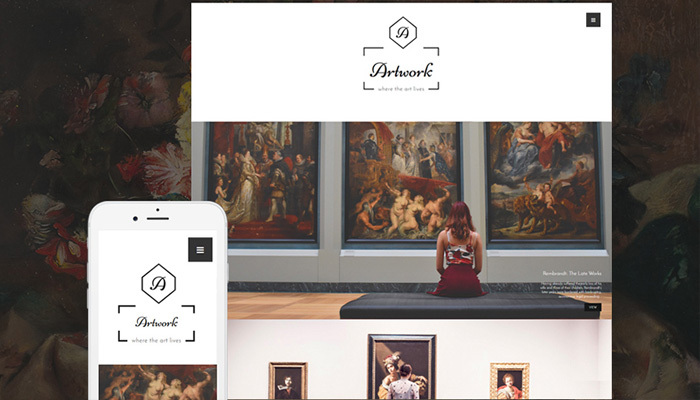 The gallery with several sliders makes the theme visually appealing and engaging. You can freely add widgets for comments and social sharing on demand. With the help of built-in Live customizer, you’ll enjoy effortless adapting the theme to your needs. 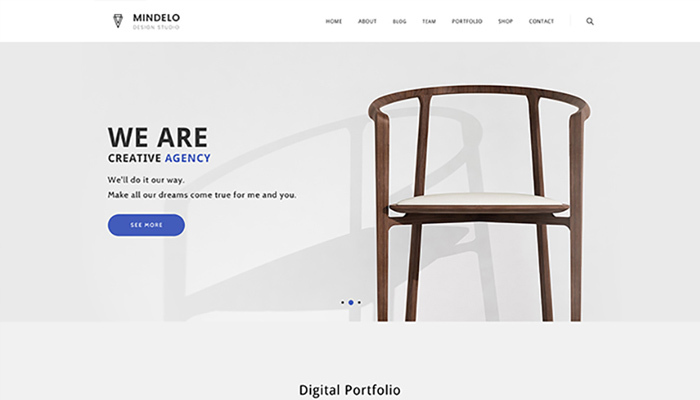 Provide a clear explanation of what you do with this stylish portfolio theme with minimal design. There is nothing in excess and the visitors can concentrate solely on your products or services. You can display works and projects in the portfolio with most efficient masonry layout. The theme goes with e-commerce plugin that means that you can easily start selling from the site. Creating new pages and editing the old ones are not a problem with a great Visual Composer tool. It includes a child theme to customize and tweak an existing design without losing the ability to upgrade it. The theme has a trust-winning Clients Carousel, which displays your clients and partners in a slideshow. 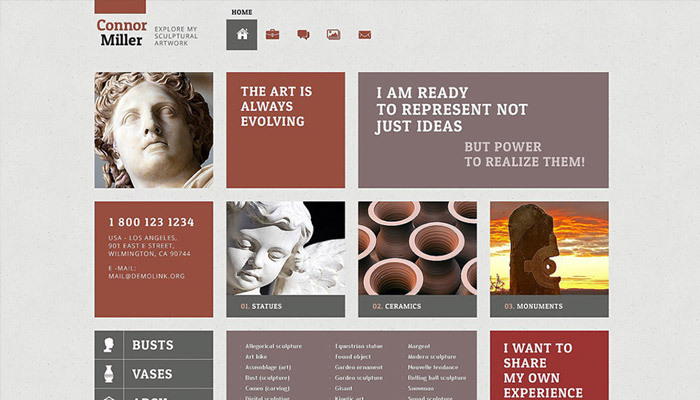 And finally, the museum theme that boasts a fully responsive design and beautiful page-size animated sliders. 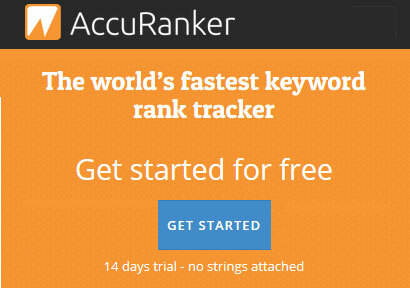 It is compatible with most top browsers and easy to manage. You can deftly customize the theme using a powerful Page Builder from the user-friendly admin-panel. Written with clean code, the theme excels at fast loading speed and great performance. It is easy to navigate due to the drop-down menu and logical layout. Moreover, the theme goes with a useful email marketing service MailChimp. 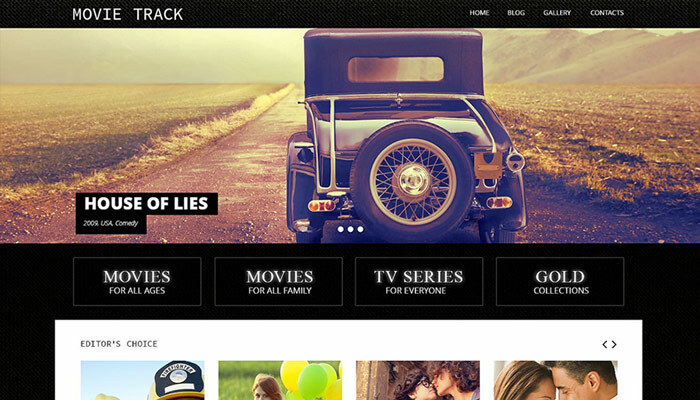 As you can see, any of these themes stand out due to splendid retro or vintage style and huge functionality. You can create a compelling image of your business on the web employing only retro look and feel. Not necessarily, your business must be concerned with antique-trade. On the opposite, your site can deal with anything modern and ultimate. It is all about your sense of style and way of self-expression. Just be yourself and stand out. And all you need is to turn to these superb pre-made themes and adapt them to your niche. Editorial Staff at WP Warfare is a team of experienced WordPress users and experts managed by Vairo Kremanis. If you would like to join the team or share your WordPress experience by publishing your content on our site follow the guidelines here.